A few weeks back I was way down in the southern Negev, about an hour’s drive from Eilat, and was called back north for a driving mission. On the way up I decided to take my time and explore roadside attractions. I often stop off places to explore, but usually don’t have enough material to make a blog post about (sites such as the Mazor Mausoleum, the Maqam of Nabi Musa and the Ayit Waterfall). This particular time I had the chance to visit three interesting sites. 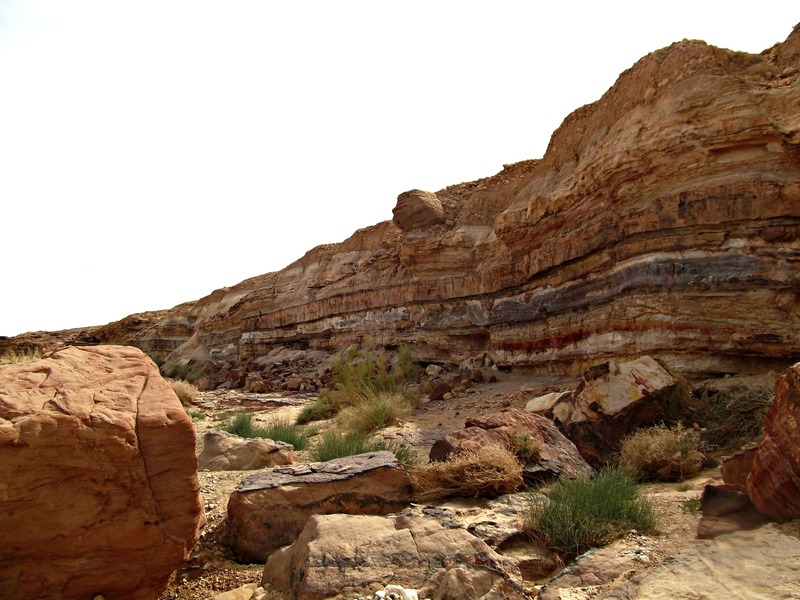 The first I came across was Wadi Ramon in the Ramon Crater, one of two streams which drain the enormous erosion crater. 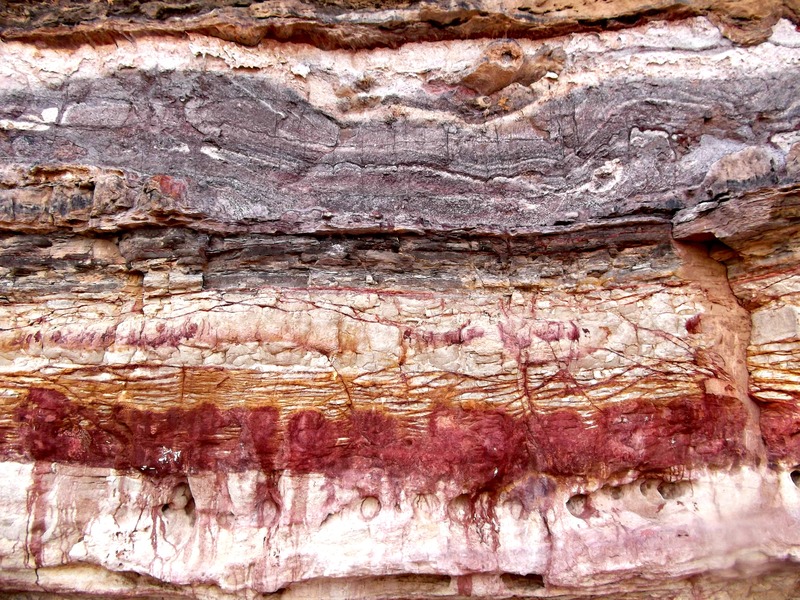 I had heard about some very interesting “coloured rock” formations, and that they are just a few minutes from the road. Leaving my truck, I climbed down into the dry streambed with just my camera and gun and began walking. Wondering if I’d see any snakes or scorpions, I scoured the sandy streambed with my camera ready as I tread. True to my source’s word, the coloured sandstone rock wall was very visible after just a minute walk. Researching more online, I found a fascinating fact about the Ramon Crater: gypsum, a mineral, is heavily mined in the crater and there are underground galleries stretching out for 16 miles – that I’d like to see! 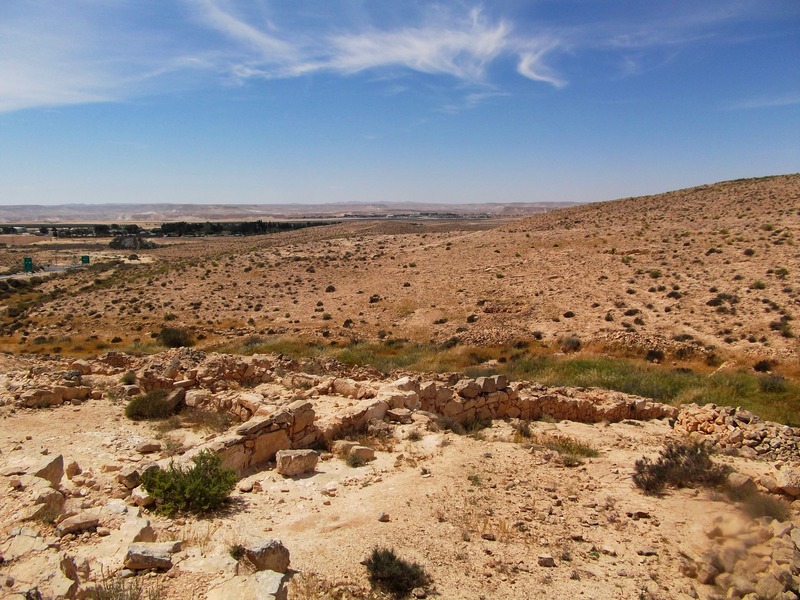 Driving further north, I stopped just after Sde Boker (where Ben Gurion lived and died) and happened upon a place I’ve never even heard of: the “Lost City”. 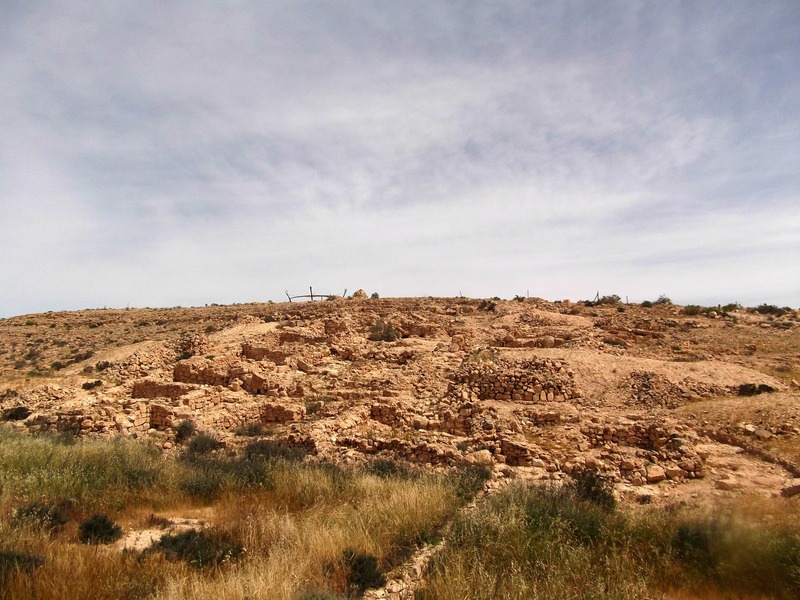 What I’ve gleaned from online sources (including my absolute favourite: Biblewalks) is that this “Lost City” was a late Byzantine farming settlement dating back to the 6th-9th centuries CE. However, its history and identification was a mystery for many years, thus earning the name “Lost City”. 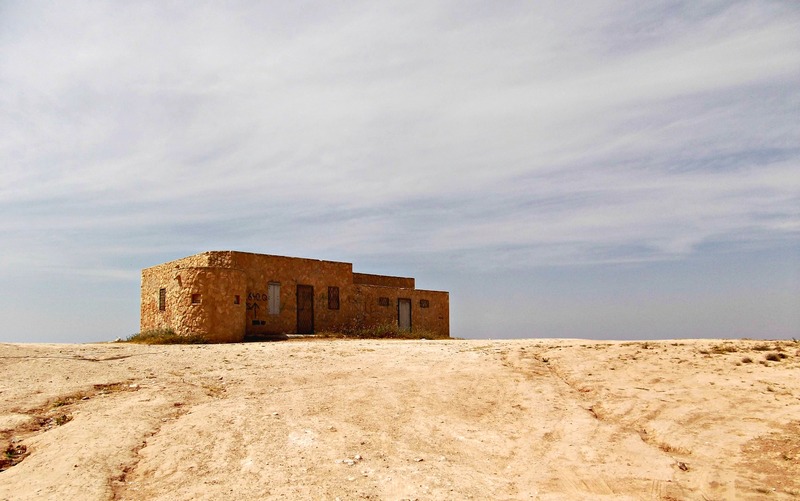 The third site of interest is an old British Mandate police station located across from Rahat (the largest Bedouin city in Israel), not far from Be’er Sheva. It was at this station, the Rider Police Station, where the local gendarmerie (a military force charged with police duties) was located. I had passed the building many times and had finally decided to stop, but unfortunately, someone had bricked in all the doors and windows, so exploration was quite limited. That basically concluded my exploration for the day, although I ended up driving to the upper Golan, clocking in about 350 miles of driving that day alone! Just wanted to say that I really enjoy your blogs, especially about the less known and out of the way places, which give me plenty of ideas for the family tiyulim! Keep blogging! Thank you Michael! Glad to hear such positive feedback!